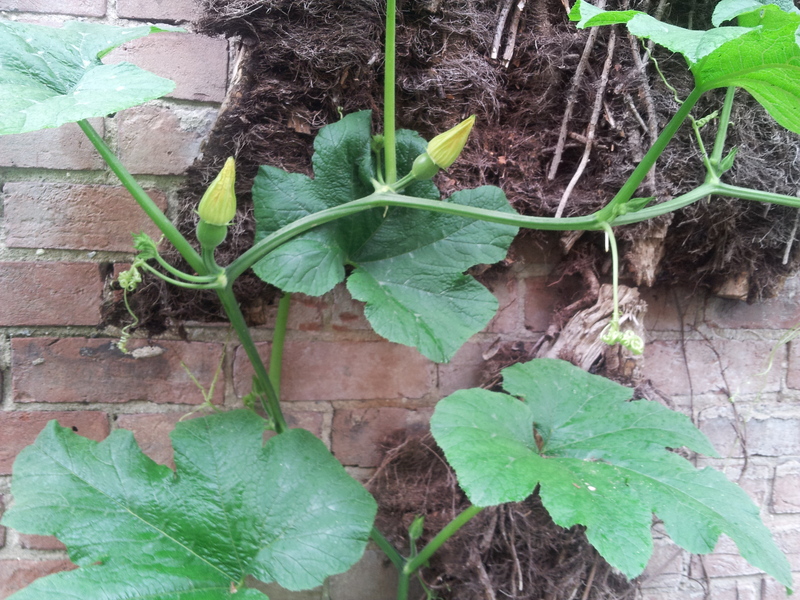 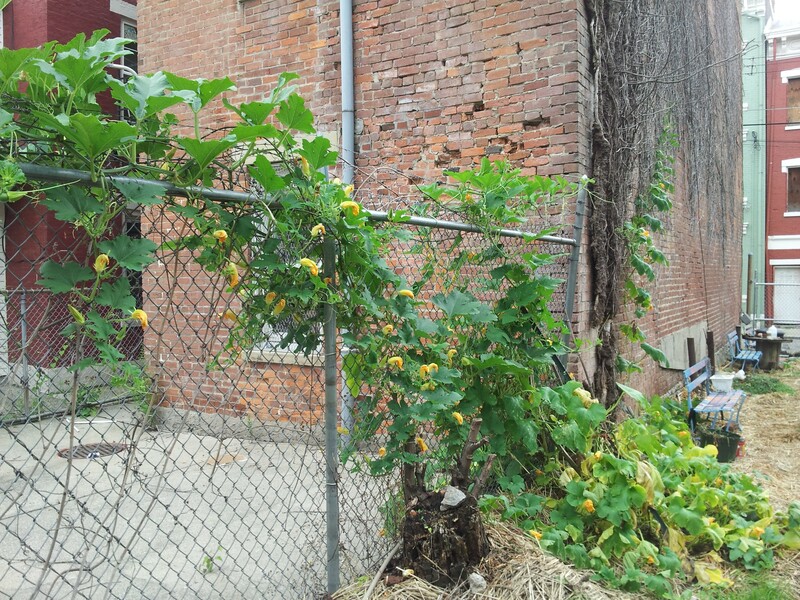 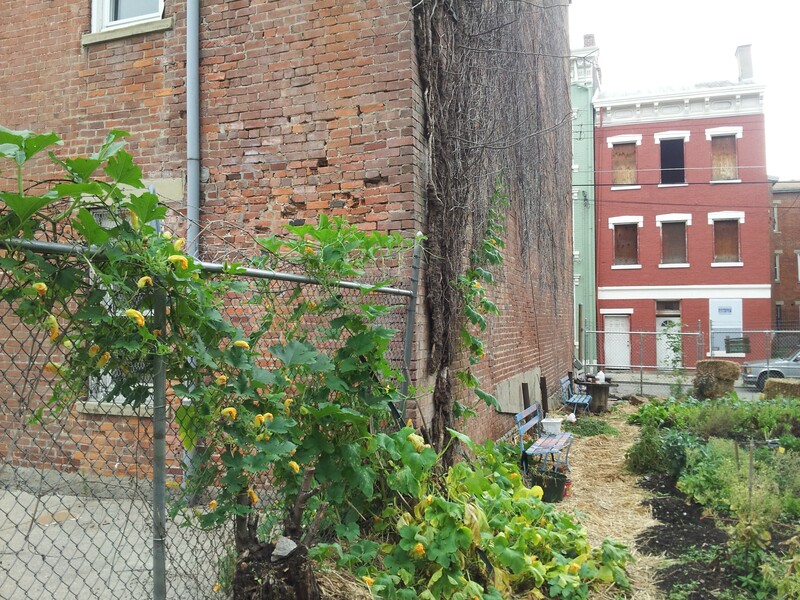 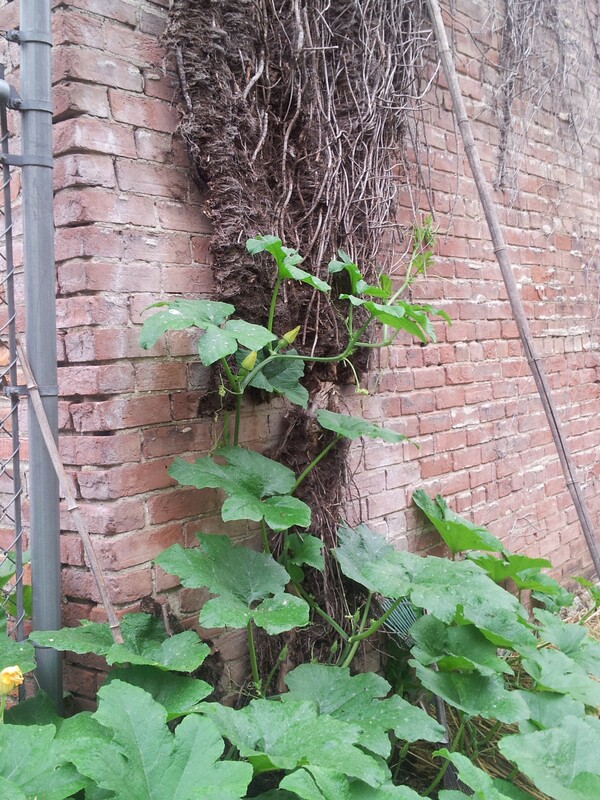 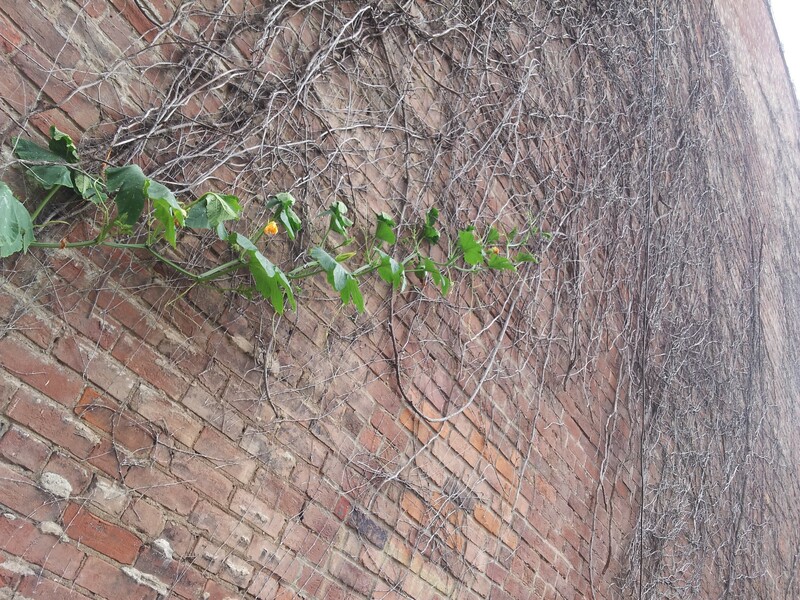 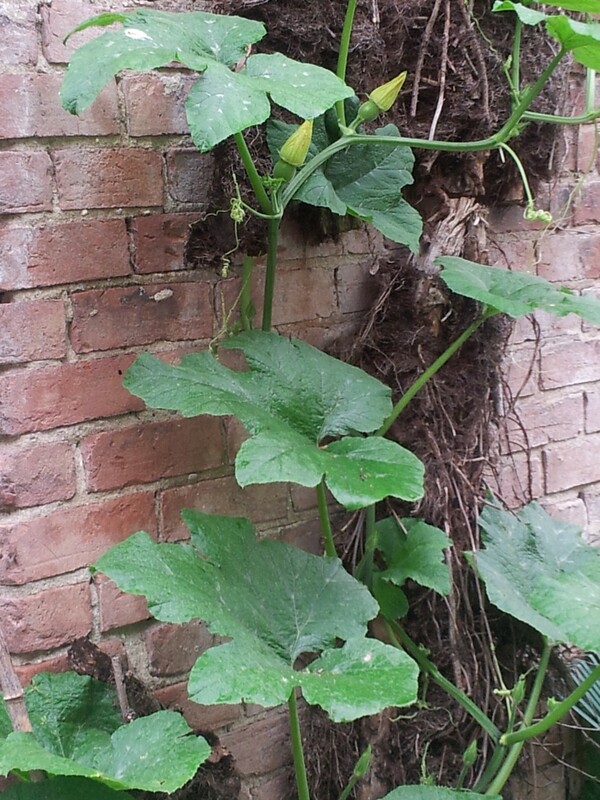 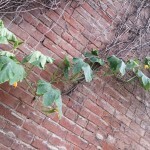 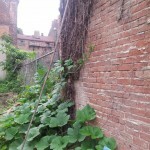 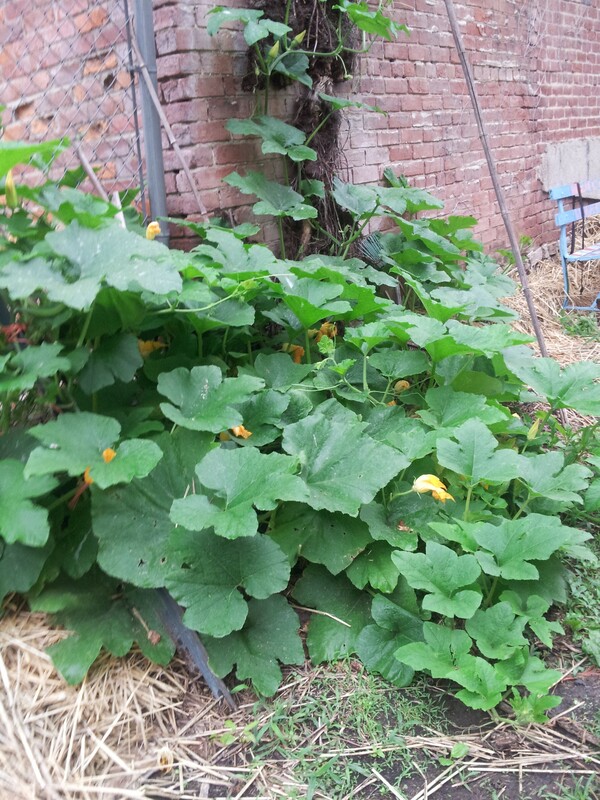 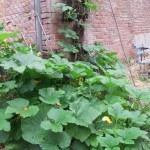 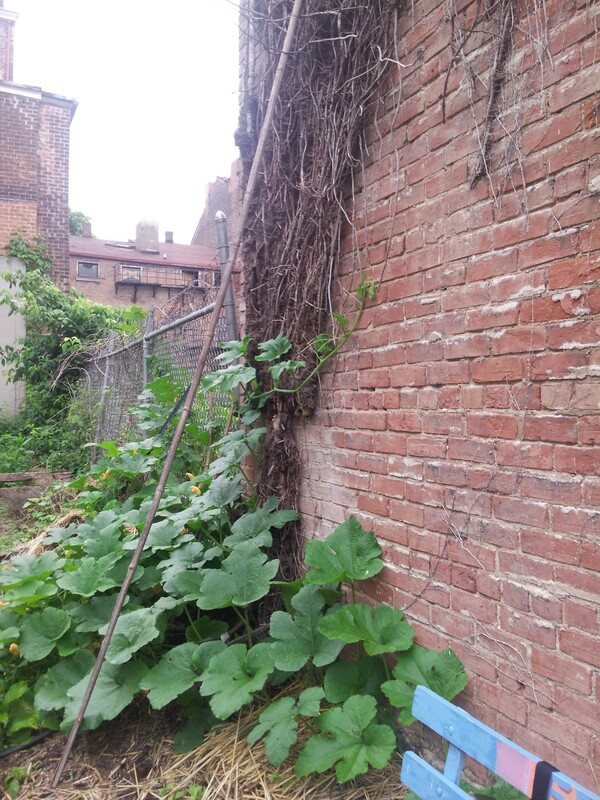 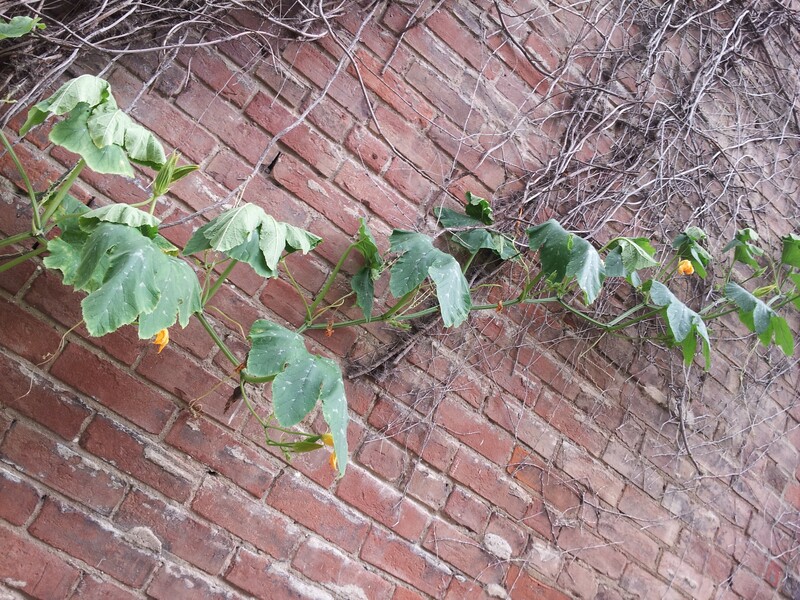 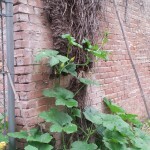 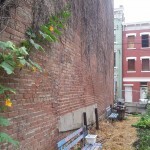 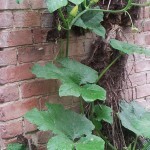 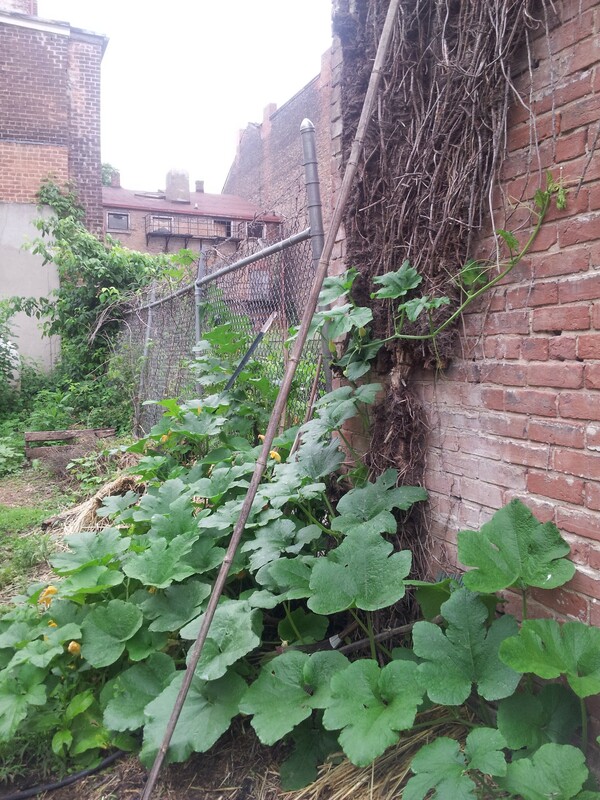 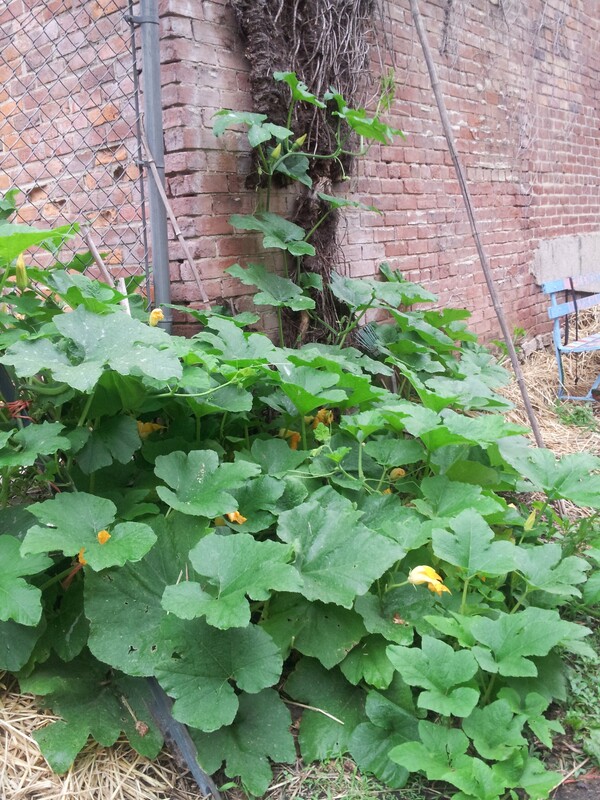 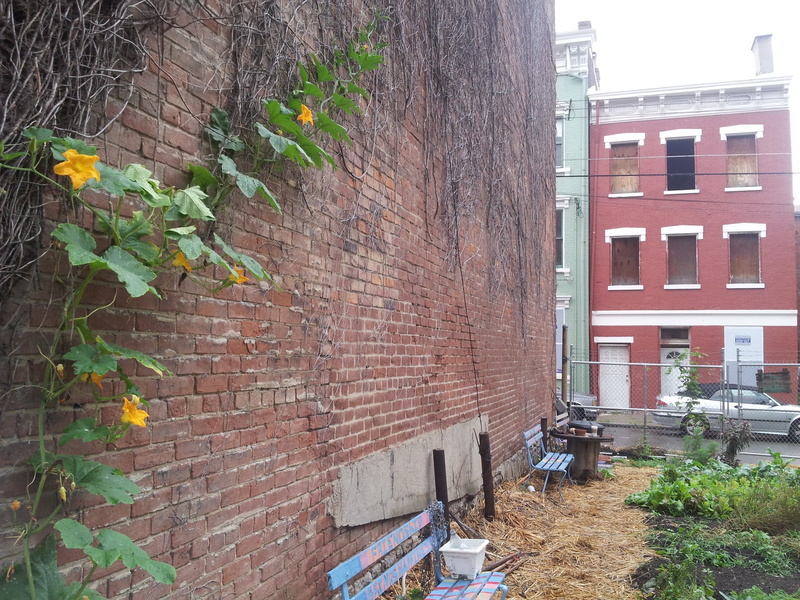 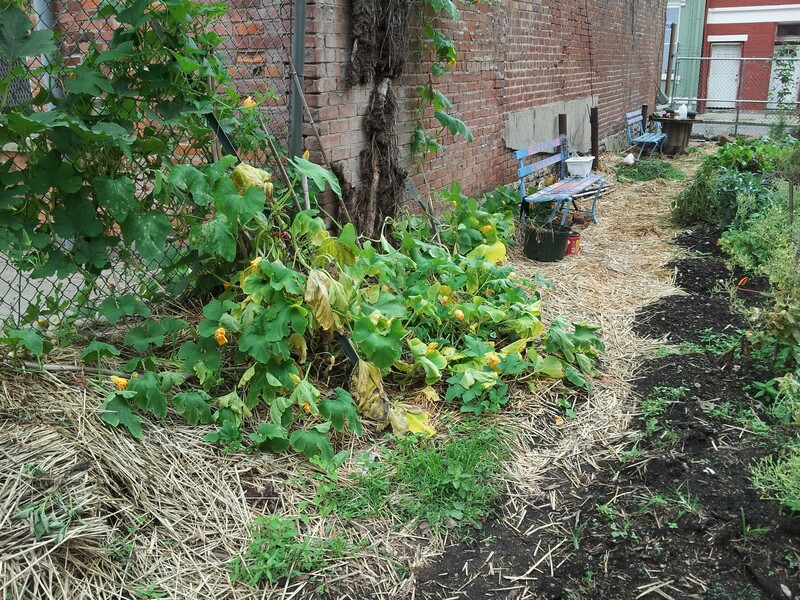 Pumpkins defy logic in that they are so big that it’s hard to imagine them hanging from fences; but these squash in fact are Super Climbers who seem to love growing vertically. 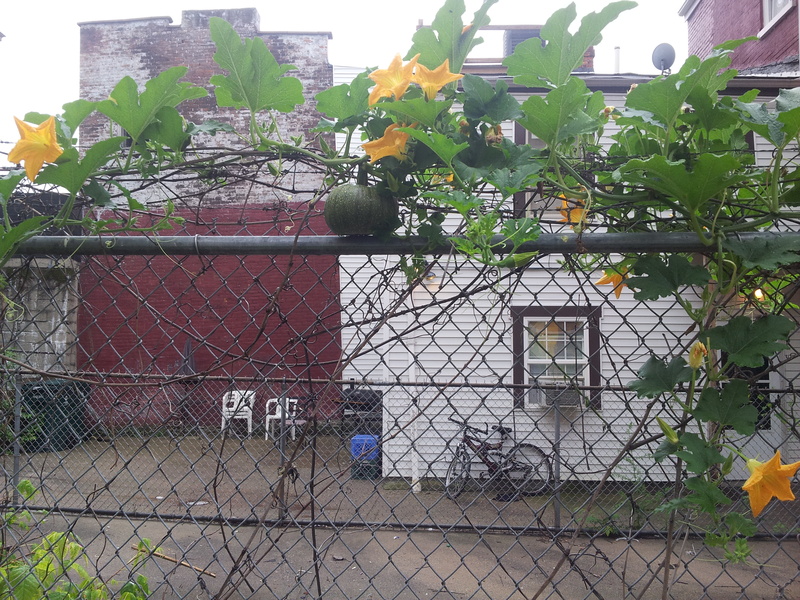 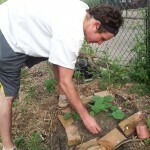 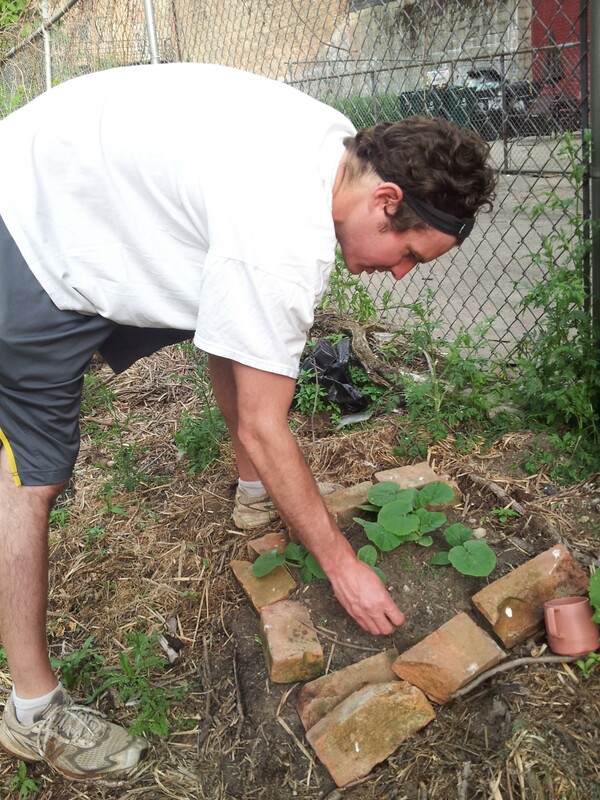 Tevis Foreman plants squash at the base of the fence. 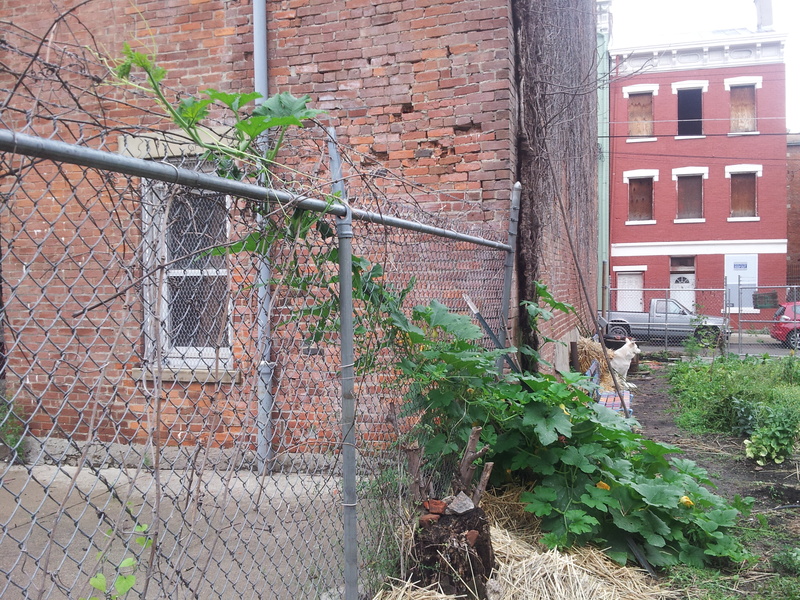 Metal stake leaned against fence as trellis. 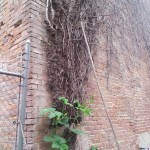 The place I axed the poison Ivy Vine Stalk, the poison ivy was so smart it began taking in water from the roof of the abandoned house it took over. 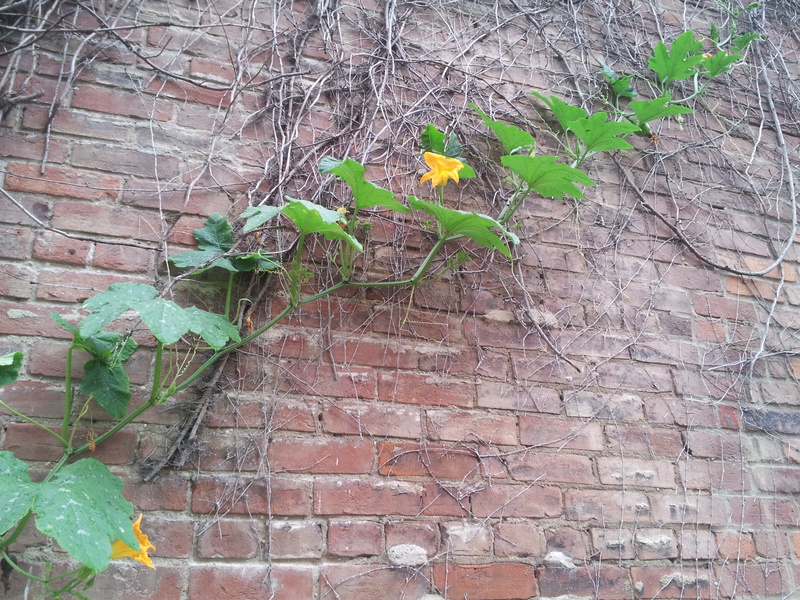 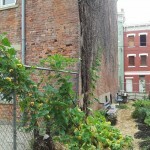 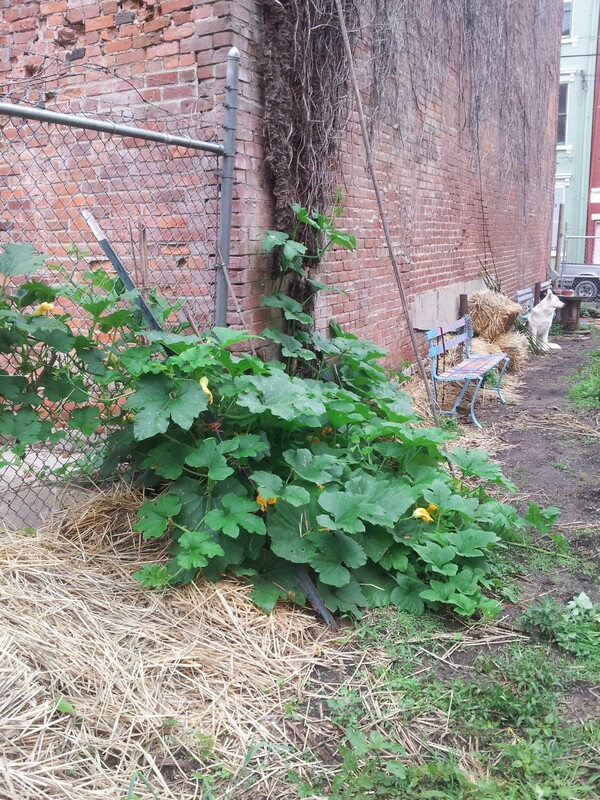 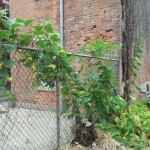 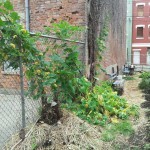 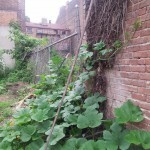 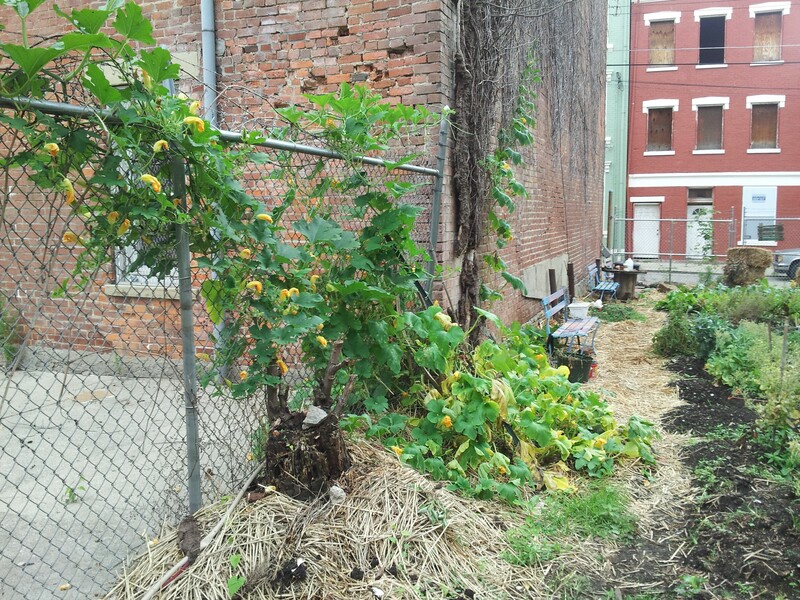 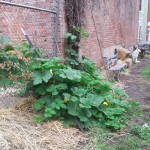 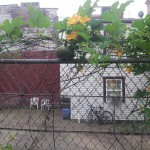 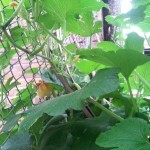 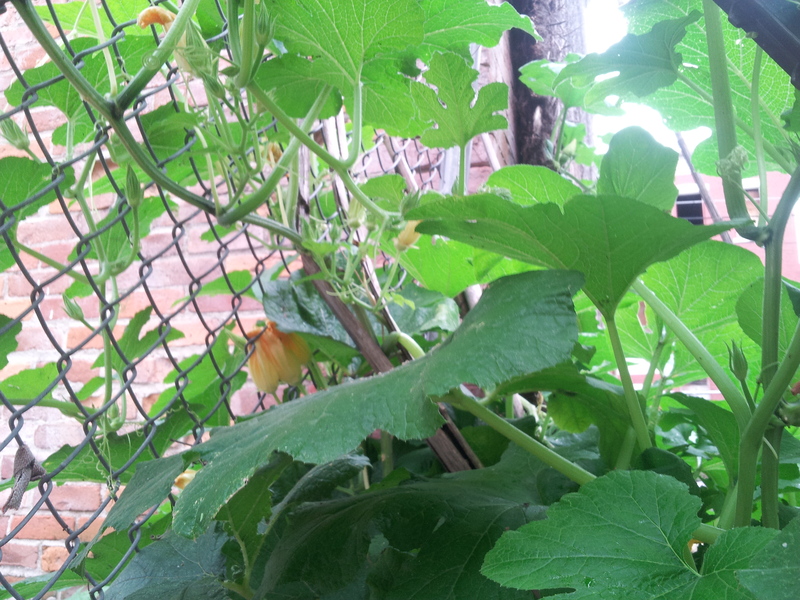 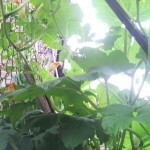 Squash grows on barbed wire. 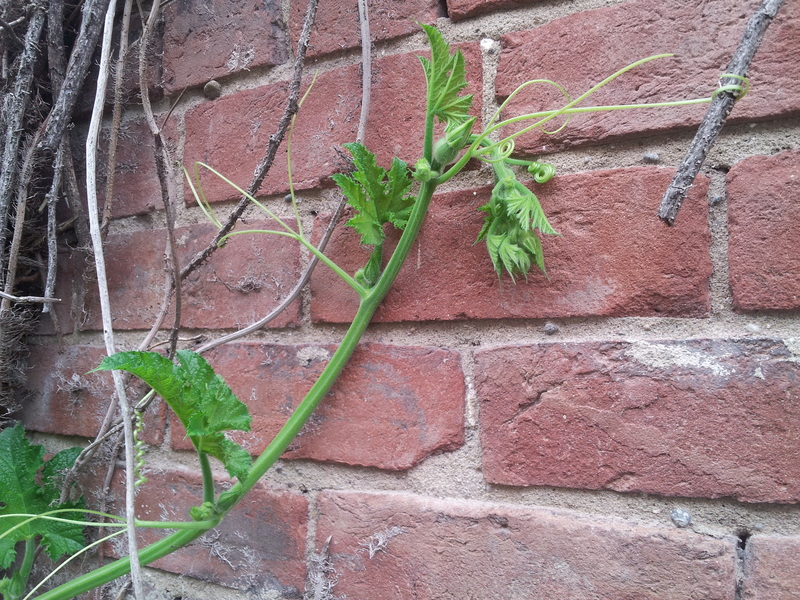 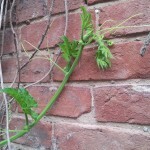 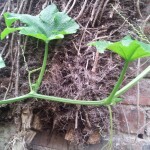 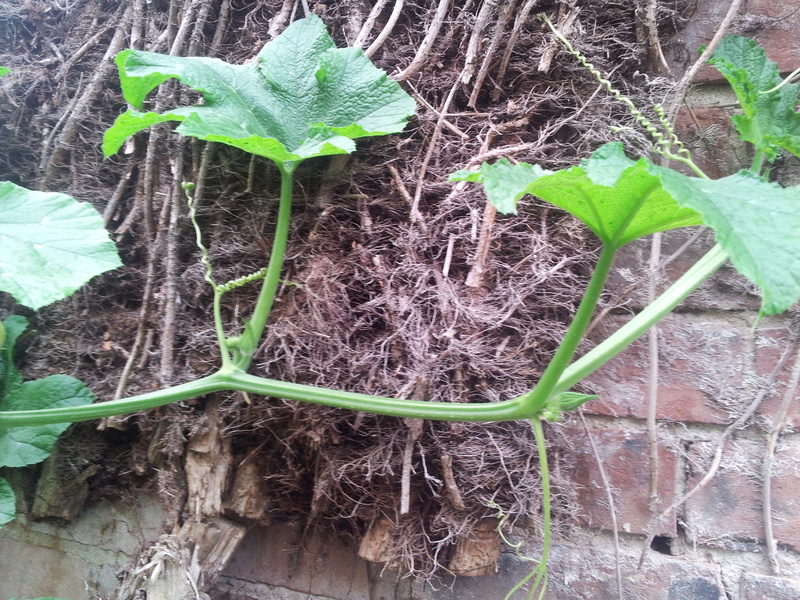 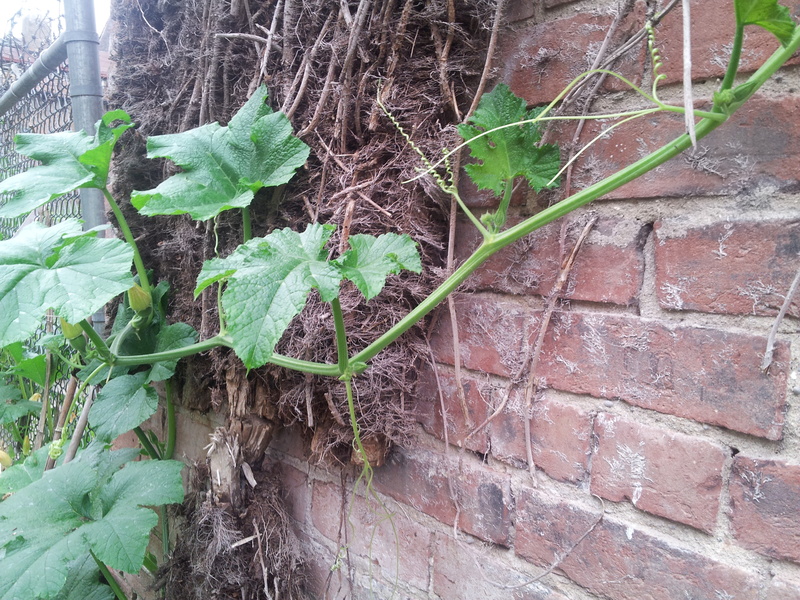 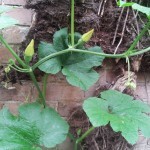 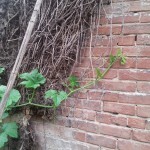 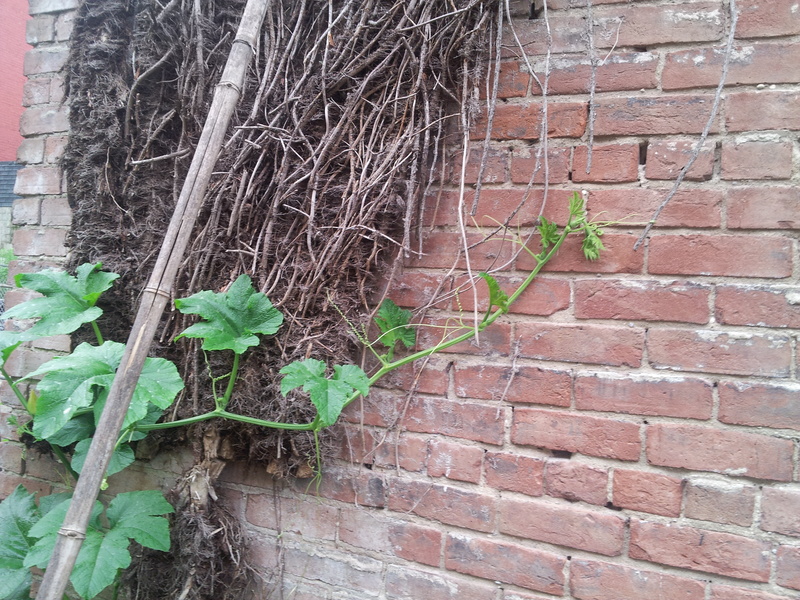 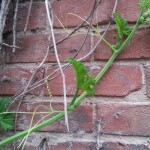 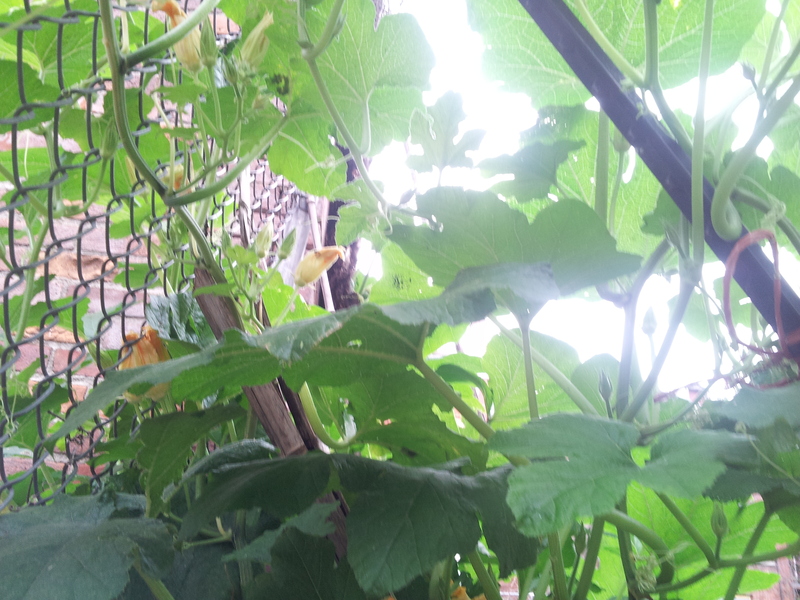 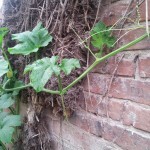 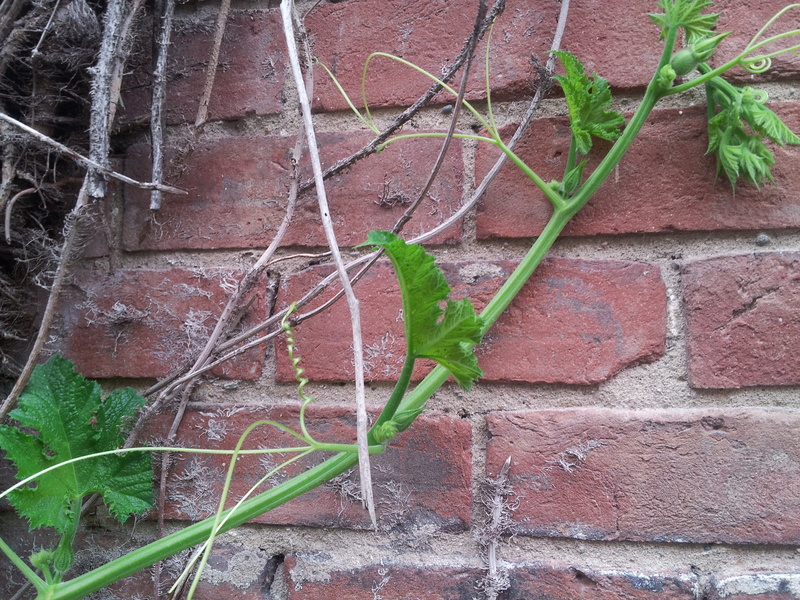 Worried that the squash vines are breaking because they are literally pulling the plant apart at the base. 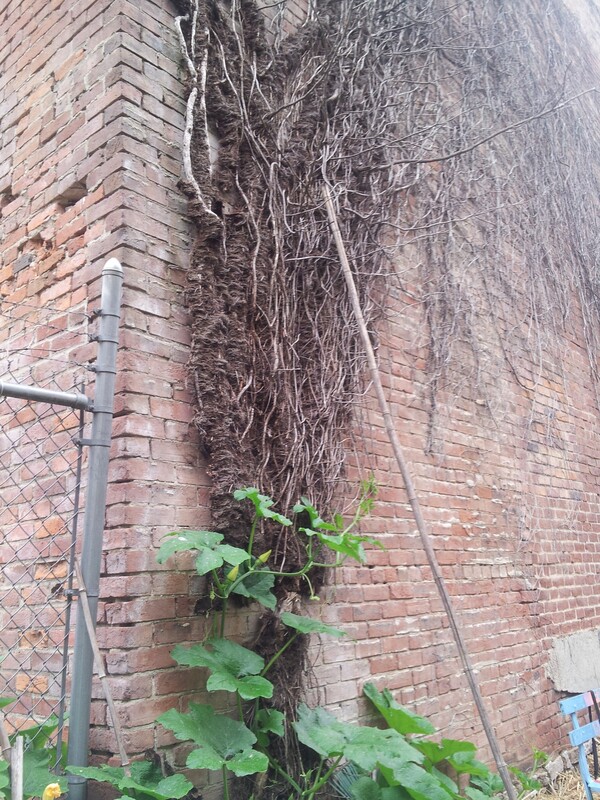 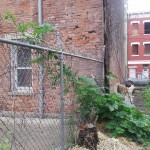 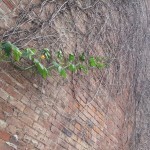 Growing up dead vines from a 15 year old Poison Ivy plant that almost took over an abandoned house before we killed it. 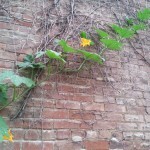 So many Squash Blossoms Delicious Delicacies when lightly breaded, stuffed and gently fried. 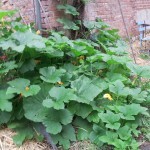 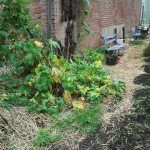 Previous Previous post: Organic Weed Killer: Does It Exist? 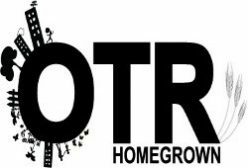 Next Next post: Michelle Dillingham Featured on OTR-POD.